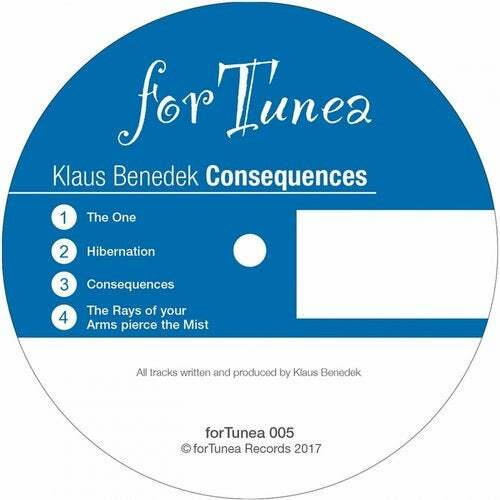 Klaus Benedek comes back with his new EP on forTunea. And yet again, he shows his diversity. "Consequences", the title track on the b-side, is an energetic tech house track and fits perfect for every peak time set. While "Hibernation" and "The Rays of your Arms pierce the Mist" experiment with their almost siren-sounding vocals and its dark and cosy atmosphere. But the main show stealer on this record is the emotional "The One" on the a-side. The iconic melody of this track leads to an impressive climax, that will make its audience on a really good soundsystem speechless.